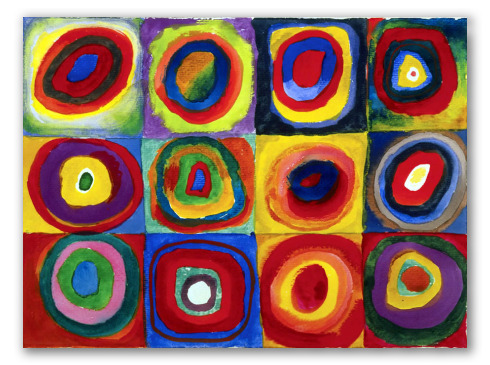 "Color Study of Squares" by Kandinsky, Oil Painting. 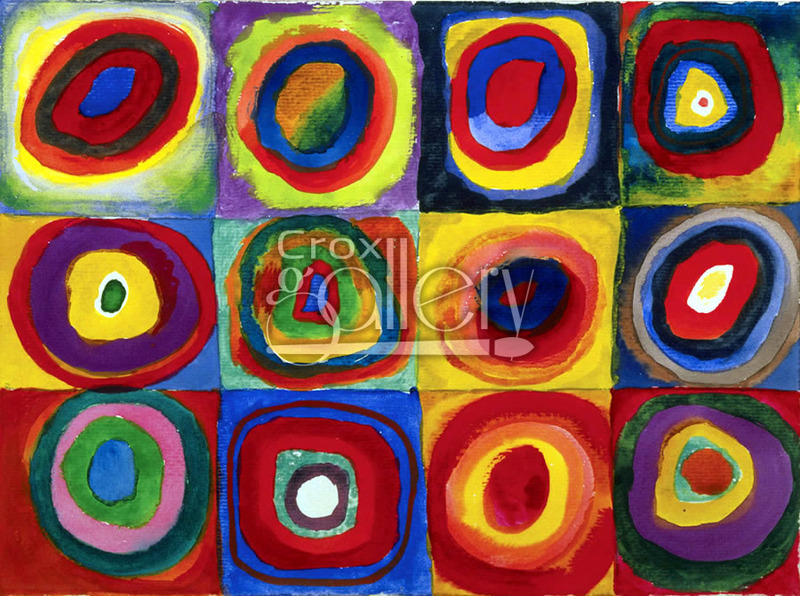 This painting is a collection of concentric squares and circles of bright colors. Color Study of Squares is a Russian abstract masterpiece by Wassily Kandinsky.